2014-Last-Quarter get ready for the Christmas Rush! Being in business can be stressful, financially challenging and a demon time sucker. However, when the goal is clear and the intention true I know anything is possible in the world of commerce, especially today with all the wonderful tools we have to support us. Okay so enough said it’s time to get serious and set the course for the final 90 days of the commercial year. I’m sure you realise that the build up to Christmas is one of the busiest times of the year for sales and I encourage you all to take a leap into the 12 weeks and make a significant increase in your sales. Yes, I know there will be another opportunity in the aftermath of Christmas, but that’s for another campaign, because now is the time to grab the attention of those hungry potential customers and clients eagerly waiting to tap into your expertise and if you follow my blueprint you’ll hear the merry sound of ‘cha-ching’ as we move into the festive season. Way back at the beginning of 2014 I guess you started the year with the intention of succeeding to attain your goals. So, how did you do and what’s the next step for you? Regardless of the outcome of the past 9 months, I’m inviting you to join me on this last quarter challenge and massively change your bottom line to a healthy profit. All you need to do is buckle down and make the last part of 2014 the best year end, ever! Review the goals that remain outstanding. NO, feeling sorry for yourself or going into overwhelm with thoughts that Christmas is around the corner and you’ll miss out, again, with sales and hauling in new customers and clients for the following year. Instead put your energy into review those goals that remain and honestly ask yourself is that what you want to work immediately and will those goals really serve your overall business? As I said, don’t beat yourself up. It won’t do you any good. Simply do as I suggest and review the remaining goals. Next you take the information you’ve gathered and start to plot out the best way to set the wheels turning and scale up to your goal. We all recognise the coming festive season has a gradual slow down round about the middle of November thereby forcing many of us to reduce our business activities to a bare minimum. But, in reality this is a very important time for entrepreneurs. You see, from now until November we can prepare and build up momentum for the Christmas rush. To plot out your best course of action you already know what your remaining goals are, but to ensure overall success you need to take into account your marketing plan. So, you know what you have to do – go get your marketing plan and review the action points for the final quarter. Another area to look if you have those figures would be the same period from last years’ accounts so you can gauge what has gone before and accordingly adjust and take aggressive action if needs be. By taking the time to review and refresh the goals that are not serving you, you will in fact save time, effort and investment. 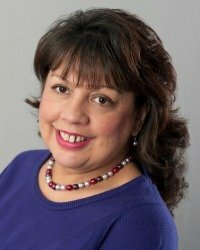 Quite simply your confidence to drum up more business and fulfil your current order book will rise considerably because you have claimed back total control of your income producing activities and now know what, and when and why you need to take specific action and in which order to achieve a fabulous end of year income boost. I know that many of you already feel you do what I’ve outlined above. However, as it’s business we are talking about I’m sure you’ll agree with me that in order to be in business and make a healthy profit it’s vital to stay on top of your business activities at all times. So, here’s wishing you a fantastic next quarter and you achieve the results you so richly deserve. 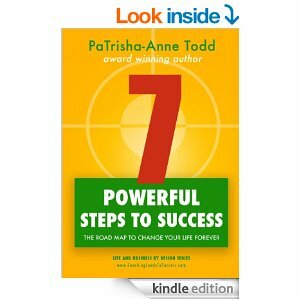 The book - 7 Powerful Steps To Success. You can use the book as a blue print to boost your motivation during the next phase of your business building efforts.